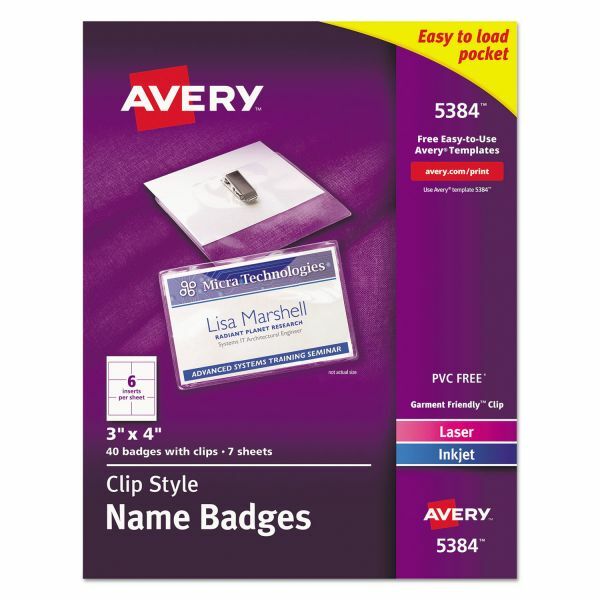 Avery Clip-Style Name Badge Holder w/Laser/Inkjet Insert, Top Load, 3 x 4, WE, 40/Box - Make professional-looking name badges with clip holders with inkjet or laser printer. Garment-friendly clip won't damage clothing. 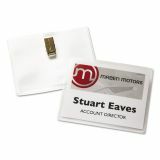 Each kit includes crystal clear plastic badge holders and sheets of laser/inkjet compatible badge inserts. 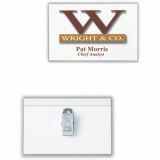 Ideal for meetings, seminars, special events and conventions. 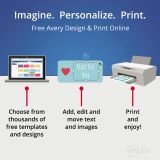 Avery offers easy-to-use templates for Microsoft Word and other popular software programs. 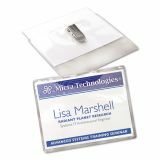 The 8-1/2" x 11" microperforated insert sheets tear cleanly. 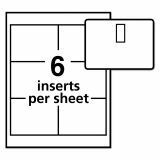 7.6 mil thickness.